Ted "WE ARE STILL HERE" Geoghegan has another film out and ready to enjoy. 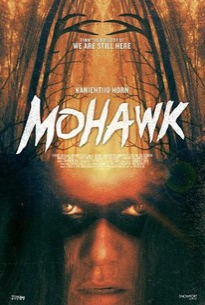 I enjoyed MOHAWK immensely. While not a horror film like STILL HERE, there are some horrific moments for sure. The story involves Oak and Calvin Two Rivers of the Mohawk tribe and Joshua Pinsmail, a British officer, late in the war of 1812. 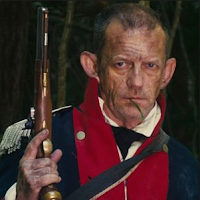 The officer is trying to recruit the Mohawks to help fight on the side of the British, but plans are hampered by the actions of Calvin putting the American enemy on their trail deep in the woods. This is an action adventure with dramatic undertones. The balance struck by Ted Geoghegan is fantastic. 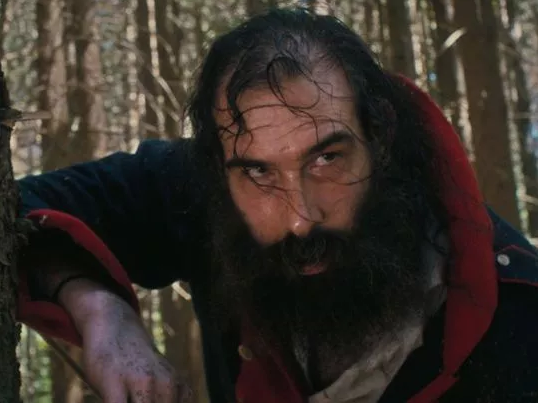 The strength of the film is really in the characterization, story, and the fact that you actually care about the characters and their actions. There are no obvious computer effects or bombastic scenes, yet I found myself riveted to the screen after the first five minutes. The story is super tight and intense. It's not a big story - not in the slightest, but it's a powerful one. 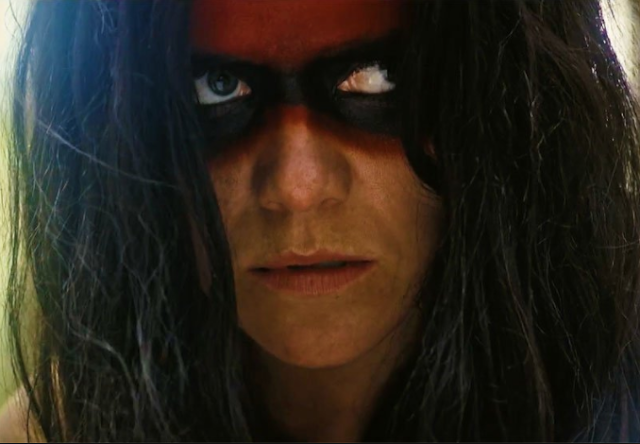 Native American involvement in the war of 1812 is very interesting indeed (some more on that can be found here) and this film is a small segment of that story talking about the Mohawk, the British, and the American's and how war tore them all to pieces. There's also a small, supernatural element that plays a part in the story, but don't walk into this thinking you're going to see a lot of that aspect. This is really a story about people and what they do to each other. The horror of war. I guess the American's are the more horrid of the group, though Calvin does some rather bad things as well. I love the fact that the wrongs are rather balanced. There are no sides here that are "pure as the driven snow" - everyone has something they've done wrong. The acting is frigging amazing across the board. Everyone give their all here - most likely pleased to be working with a talent like Geoghegan and a great script by him and Grady Hendrix. The fact that actual Native American people were playing Native American's made me very, very happy as well. Man...I want to call out each actor here. They are all amazing. Ezra Buzzington's fantastic, driven American officer Hezekiah Holt is a definite stand out as is the giant, pro wrestler Jon Huber as Lachlan Allsopp. They are American's fighting for their country, but their actions are also driven by hate and disgust for the people they are fighting and anyone that helps them. It's a sad reflection on aspects of today's climate for sure. But, I was in awe over Eamon Farren's British officer Joshua Pinsmail and the amazing and haunting Kaniehtiio Horn as Oak. They were fantastic on screen. The way they interacted with each other was grand as well. Believable and intense. I was hanging on every move and phrase they'd utter. And talk about powerful female leads! Oak is an amazing character - strong and majestic. Now, there are some real moments of violence in here as well, horror lovers. Never gratuitous, but some of them had me cringing for sure. Am I gushing over this film too much? I hope not, but I just loved it. This film is a must see. Period.